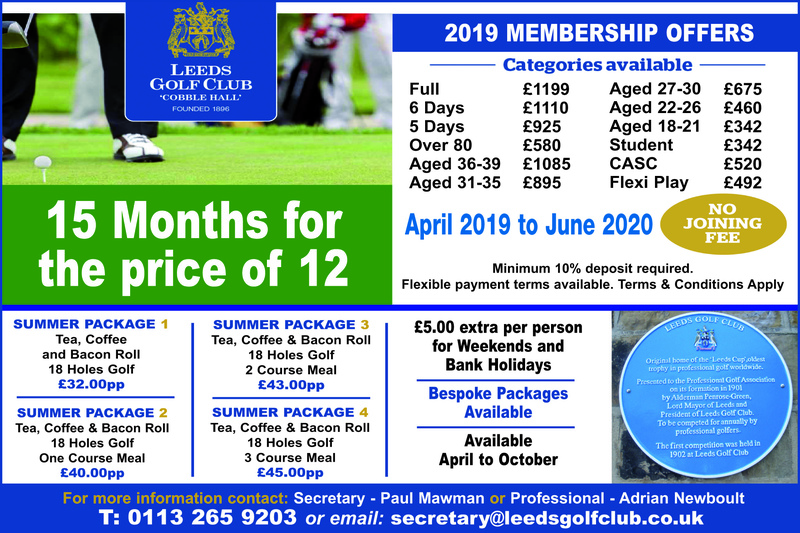 Our historic parkland course in north Leeds dates back to 1896 and is one of the best in the area, presenting an enjoyable challenge to all who play here. We are also known for being the friendliest of clubs and everyone from beginner to professional coming to play at Cobble Hall, as it is known locally, can be assured of the warmest of welcomes. “ I am very proud to represent Leeds Golf Club as the Ladies Captain. Having joined the club four years ago as a beginner at golf, I was amazed by all the help and support that I received from the ladies section. My handicap has come tumbling down and I now have fun participating in all the events through the year and also playing in the team matches. 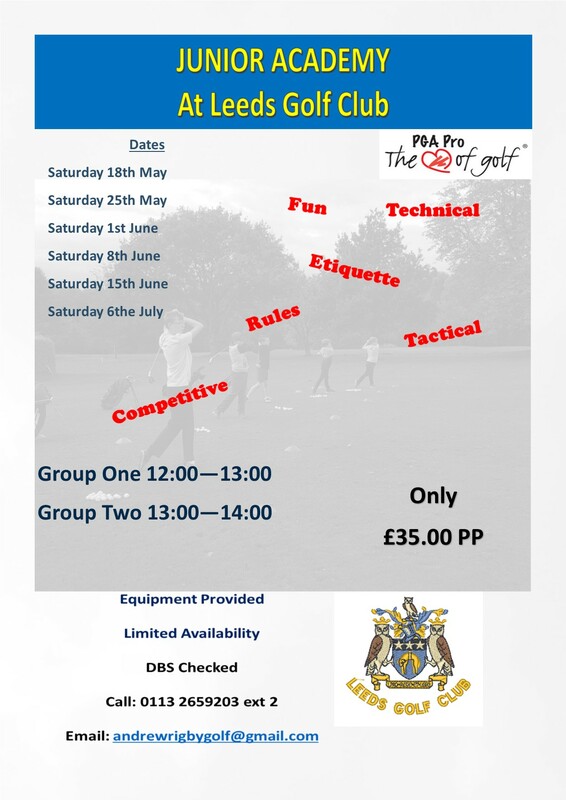 We have a beautiful course at Leeds Golf Club and it must surely be the friendliest club around, so I can thoroughly recommend it for anyone wanting to come up and play. You will certainly be given a warm welcome.